Our NRCIA roof inspectors are professionally trained and accredited to thoroughly inspect for roof leaks or the potential likelihood of a leaky roof. All members enroll in annual continuing education that trains them to better serve you. They are also committed to adhere to NRCIA’s core values – so that you know exactly who is serving you. If you are buying a home or property, you must make sure that your roof is thoroughly inspected and is devoid of any defect. After all, you don’t want to get stuck with a leaky roof. Please contact us today to find a qualified Roof Inspector in your area! 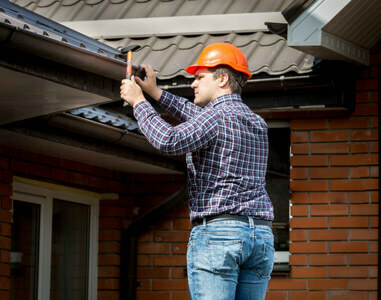 Did you know that the #1 problem discovered during home inspection is the roof? Are you buying a house and are curious about the roof’s condition? Do you want to negotiate the price of the property you are buying or selling with a detailed roof inspection report? Did your home inspector recommend a roof inspection or deferred the roof estimates? Is your bank or insurance company requiring an inspection? Do you want to catch roof problems early to prevent expensive repair bills? Please contact us today to help you find a quality roof inspection in your area. Our LeakFREE Certification is widely accepted by FHA, VA, banks and insurance companies. Do you want a warranty that your roof will not leak? Do you want to negotiate the price of the property you are buying or selling? Is your bank or insurance company requiring a certification? If your roof leaks, do you want to know who to call, have priority service, and prevent huge roof repair bills?